Quality guaranteed – W. DE BOER & ZN. Every export shipment is accompanied by a sealed analysis report to ensure the quality of the batch. In addition we carry out continuous monitoring of the rinsing water on site to ensure no residue of pesticides. 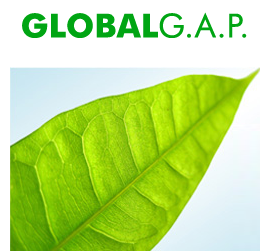 The cultivation process GlobalGAP (Global Good Agricultural Practice) certified. This certification dictates standards for produce that framers and gardeners globally must adhere to in relation to food safety, sustainability and quality. We also hold the Voedsel- en Voederveiligheid Akkerbouw (VVAK) certificate. Companies with a Food- and Feed safety Arable Farming certificate have demonstrated compliance with the European hygiene requirements for produce and animal fodder, which entered into force as per 1 January 2006. These regulations are part of the conditions for receiving company subsidies.